For those who access Facebook on their mobile phones (and there are a lot of you), you might’ve noticed ads for various apps that are directly downloadable from your Facebook news feed. 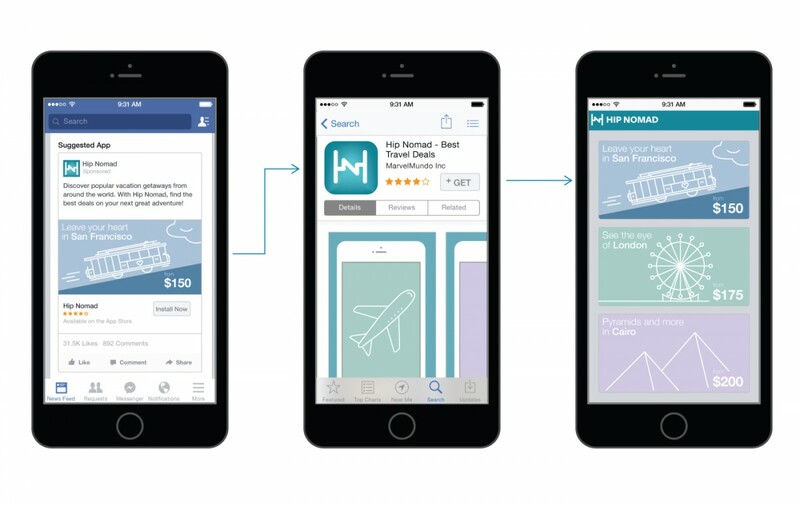 Now, Facebook is going a step further to allow companies to display post-install ads in an effort to convert downloads into purchases. According to a report from TechCrunch, these in-app “install ads” are designed to prompt users to interact and make purchases once they’ve downloaded the app, or in Facebook’s terms, “deep linking.” Uh, okay. In TC’s hypothetical example, it cites HotelTonight being able to not only entice customers to download its app for deals on last-minute hotels, but also show listings based on the user’s location after the installation is complete. This way, users don’t need to search for deals, but see them right away and potentially book a room then and there. Consider it like a welcome page after you download or sign up for a service. The onboarding is supposed to help consumers interact and eventually make a purchase within the app, not just download it for curiosity’s sake. If you’re someone who’s likely to download an app via Facebook’s in-feed ads, perhaps this is helpful for you. For everyone else who’s not a marketer, get ready for another chunk of your mobile data spent on more advertisement.